With each album they released since 1983 during the early part of their history, R.E.M. got closer and closer to mainstream popularity. One can detect that ascendancy with 1986’s Lifes Rich’s Pageant, which certainly ranks as one of their best. Right off the bat, the album goes in head first with two rockers in “Begin the Begin” and “These Days”; and the energy doesn’t stop following the breathless “Hyena,” “I Believe” and “Just a Touch.” There are also the folky roots rock in the lovely “Swan Swan H” and bit of a quirky south-of-the-border tune in “Underneath the Bunker.” But clearly the album’s standout track is “Fall on Me,” whose lyrics are certainly cryptic with the word “sky” repeated quite a lot; but the song’s melody and chorus are just divine—it’s one of R.E.M.’s cornerstone songs. 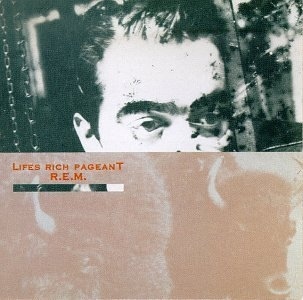 This reissue that celebrates Lifes Rich Pageant’s 25th anniversary comes with a second disc of demo tracks, including some that were not on the album, such as the rocking “Bad Day”–later recorded for the 2003 In Time compilation. Simply put, Lifes Rich Pageant’s is indication of their growth beyond the college rock tag. June 29, 2011 Leave a commentR.E.M.